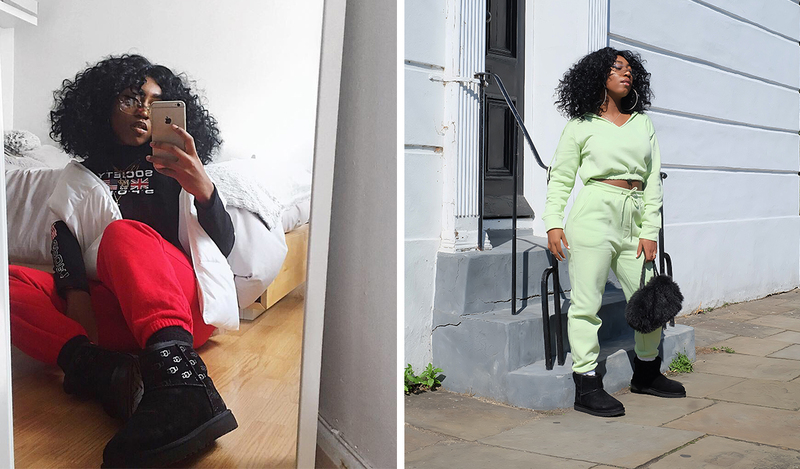 My top 3 ways to style UGG has to be firstly, my signature cozy look, with a matching tracksuit/two-piece. Second way I like to style UGG is more fun with maybe a crop top and loose high waist pants and a cropped bomber and the third way I like to style UGG is a more smart casual way, with a long mac or textured blazer, look shirt or hoodie and jeans! 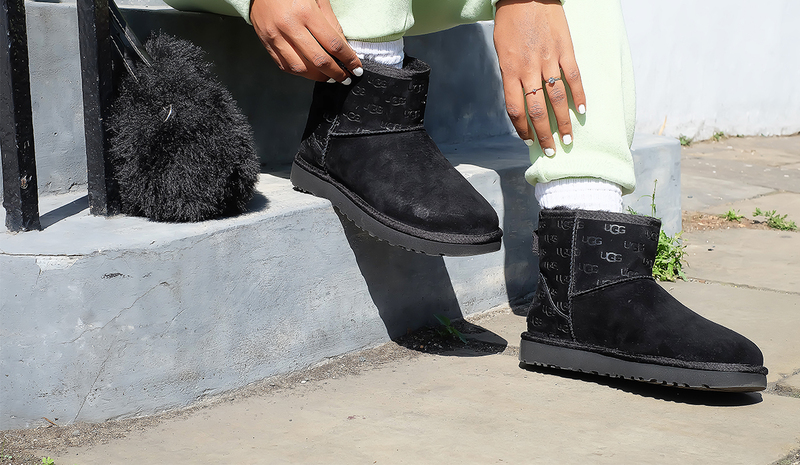 My favourite UGG style is actually the new Fluff Yeah Slide sandals! 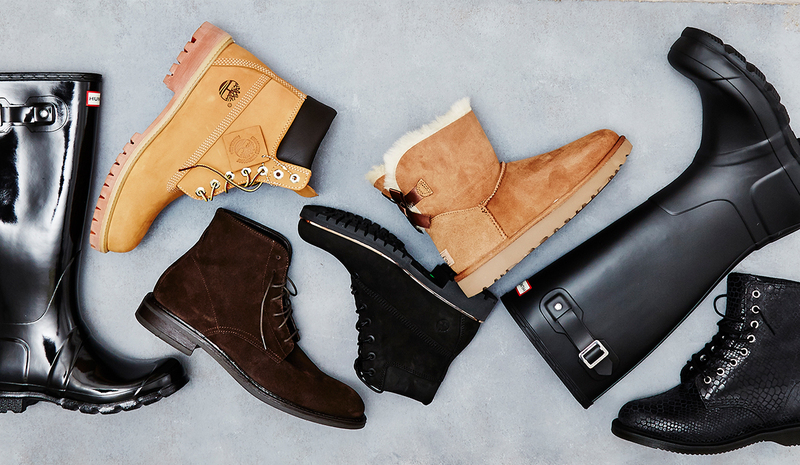 They are such a cool new approach to UGG and look so comfortable. 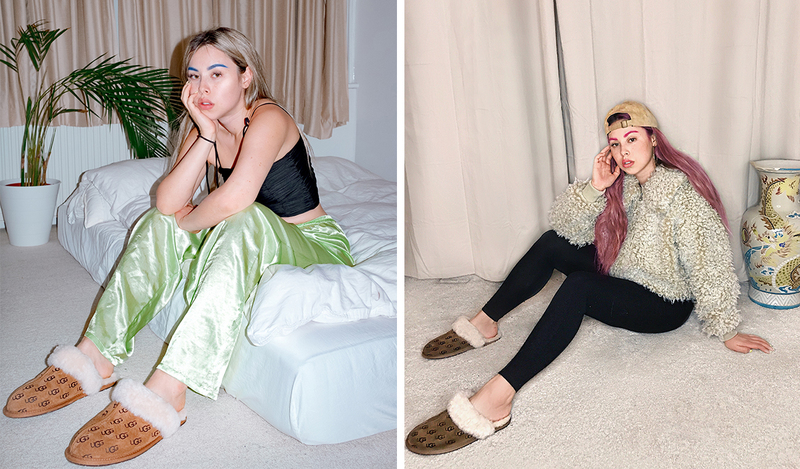 The trends I am loving at the moment is Motorsport fashion, 90s girl fashion, a big favourite (really fun, 90s girly style, think Lil Kim vibes!) 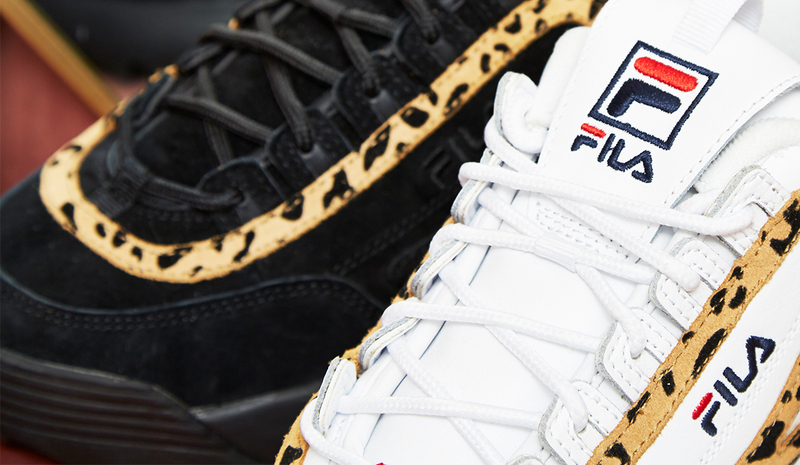 and of course streetwear! With the Scuffettes, I find either harmonic pieces or colour-blocking perfectly match the slippers. Personally I like to combine them to both slimy green or blue tones but also to more cream-coloured pieces. I’m really in love with the fluff collection. The pink colour make them fit a variety of styles and grant for a real eye catcher, too. Besides my rediscovered love for plateaus, I’m all over slime tones at the moment. They’re perfect to spark up cloudy autumn days with some fresh colours – I’m also experimenting using them in my make-up to round up the outfit.